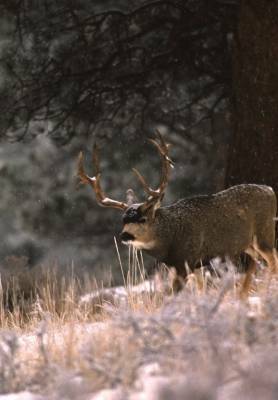 When snow, cold, and rut come together, the hunting can get good, but the big bucks still aren’t easy to find. They are often in the cover by sunrise as you’ll see in Day 8. A good camp is everything when it comes to cold weather hunts. No matter how “tough” we might think we are, a few days of zero degrees and snow in a subpar camp will send even the most hardy hunters back to the truck. I’ve found complete camps crushed by snow that hunters have just walked away from when the cold weather hit. You can’t just survive out there, you have to thrive. 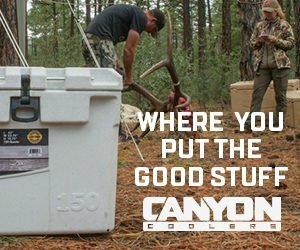 Make sure your gear is ready for anything so when the hunting gets good, you can be out there enjoying it. This is super cool to follow Robby. Find a stud and drop him in that snow! 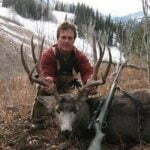 Sure took some big buck discipline to pass on that skylined buck! You still have company out in the hills or did the snow/cold scare everyone else out of there? I never saw another hunter on this hunt. I usually do, but didn’t this time. Enjoying the hunt Robby. Thanks for taking us along!